The Jameson Director's Chair had become something of an icon in the brand's ongoing movie sponsorships. 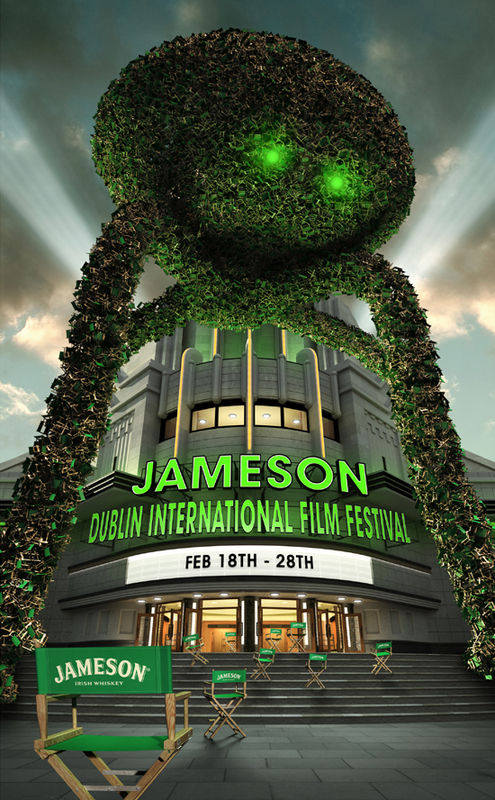 The brief was to make more of it, for what would be the biggest Jameson Dublin International Film Festival to date. Make more of it? How about a couple of hundred thousand more? The festival was going to be big. Epic. Hundreds of movies were going to be screened in one place in one short space of time. Highbrow. Lowbrow. Monobrow. All kinds of movies. All genres. But only the very best. An invasion… no, a stampede… no, a tsunami of movies, you might say. When it came to promoting the festival on radio the following year, putting chairs together wasn’t going to work, so instead I wrote scripts around pub conversations where the dialogues were mash-ups of all the most epic lines ever uttered in cinema.